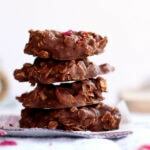 Healthy and fudgy chocolate oatmeal no bake cookies prepared in as little as 5 minutes! 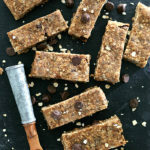 Peanut butter powder and chocolate make these delicious vegan fudgy and healthy no bake oatmeal cookies a for-sure crowd-pleaser! The kids are always having these random meltdown moments where the solution is either: A) they need a nap, B) they are bored, or C) they are Hangry. Nine out of 10 times they are just crazy hangry. Even us adults get that way too. Any one else get total anxiety if a nap is needed, boredom hits, and from even just from being plain old hangry (or just needing a good chocolate fix!). 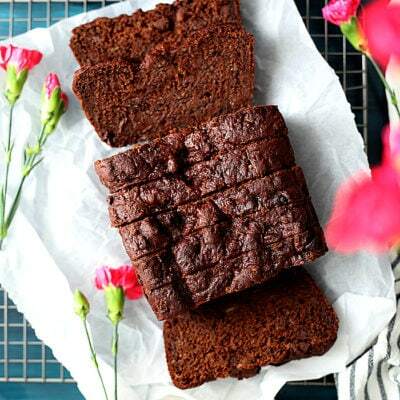 We have been super into vegan desserts and snacks lately like this vegan banana bread. Chase was asking again if he can eat the batter while making his oatmeal no bake cookies because once again, the batter is safe to eat! 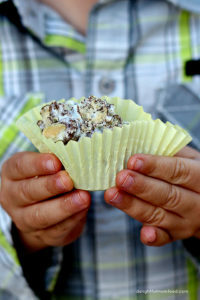 And kids have so much fun mixing these few simple ingredients together! I think one of the reasons I love baking and cooking so much is that it something we can do as a family. We all need to eat, right? But the magic happens as mix, pour, scoop and have sprinkles of flour floating about everywhere. We laugh and play together as a family. Right before we then enjoy the fruits of our labor. Or in this case, there really isn’t much labor except for cleaning the one mixing bowl used and measuring cups! When browsing through our new grocery store (Sprouts) the other day I came across The No Bake Cookie Company’s cookies. They have the best no bake cookies. We loved them so much that at $6 bucks a pop I knew that is one no bake oatmeal cookie I should make at home. So off we go gathering our ingredients and making an imitation Delightful Mom Food brand of them instead. 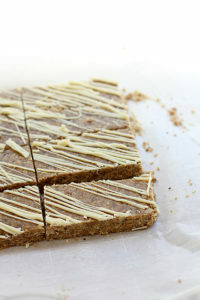 These beauties are just as easy and delicious as my no bake breakfast bars. Probably healthy enough to eat for breafast too:-). 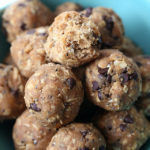 These no bake oatmeal cookies cheaper than store bought and so delicious to make at home. The ingredients called for egg powder and milk powder and I wanted to make them a vegan cookie. So instead of using dry animal ingredients I used PB Fit Peanut Butter Protein Powder I purchase at Costco. As soon as we got home from the store I set the boys up at the kitchen bar with each of them having a bowl to make their own. 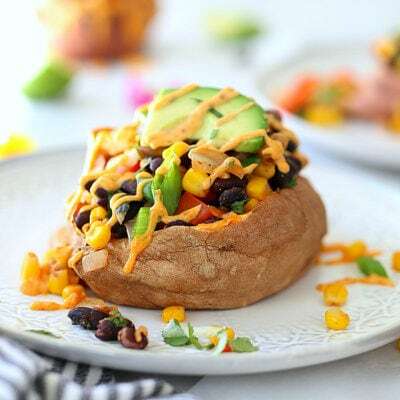 They dumped each ingredient into their bowl and hated that they had to wait for the coconut oil to melt:-) But do make sure to melt the coconut oil because incorporating warm oil makes the dry ingredients melt into a creamy fudge-like texture. Now the tough part- waiting for the oil in the oatmeal no bake cookies to harden in the fridge! But rest assure, it is well worth the wait when you sink your teeth into delicious creamy fudgy cookies! 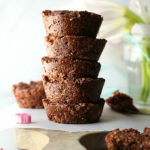 These Fudgy Chocolate Peanut Butter Oatmeal No Bake Cookies are Healthy, Vegan, Dairy Free, Gluten Free and take 5 minutes to make! Oats: Packed with fiber and iron (and make sure to get gluten free) oats are a powerhouse energy food. They fill you up longer and keep blood sugar at bay for sustainable longer lasting energy. I usually enjoy a bowl of oatmeal or these orange cranberry oat cakes before a run or workout since it is lower in calories and holds me over till my next meal. Chocolate (Cocoa) Powder: Full of iron with no added sugar! Need I say more? Kids need their iron and so do most women. And who doesn’t love a good dose of daily chocolate? 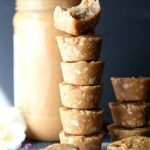 Peanut Butter Powder: Full of protein, low in fat and light on calories! YES! Gimme all the peanut butter protein powder please! Guess what else? Peanuts are not actually a “nut” they are a legume. Just make sure to use organic since peanuts can consist of a mold that can cause allergies. Peanut powder also has healthy fiber. Coconut Oil: Full of healthy omega-3 fats. 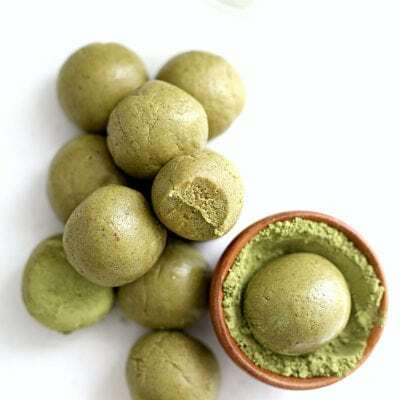 It is also shown to reduce harmful LDL cholesterol, increase beneficial HDL and boost the metabolism. 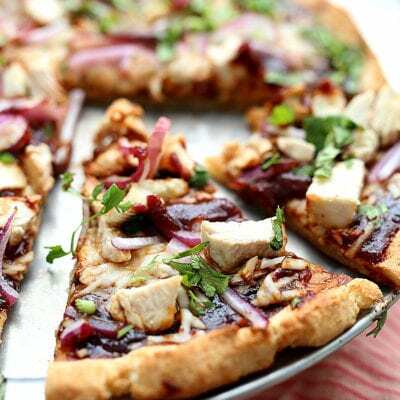 Vanilla Extract: Adds the best warm and comforting flavors of vanilla. The perfect addition to chocolate, peanut butter and most baked goods. 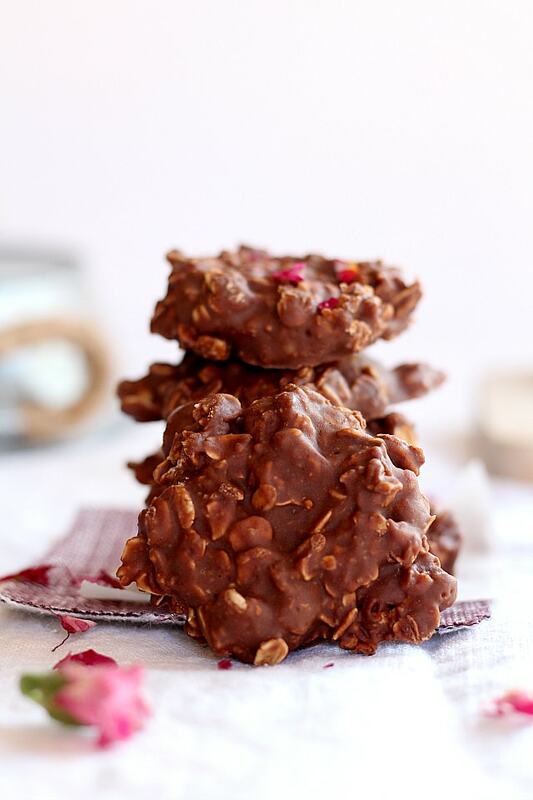 Are you convinced yet how amazing these no bake cookies are?!!! It is starting to get out-of-hand because these cookies are healthy enough to eat for breakfast, snacks or dessert. My boys ask for them all day and try to convince me… “because it is a healthy cookie we can have them, right?”? The response… “After you eat your vegetables, then I know you are having a balanced meal.” It sometimes works! 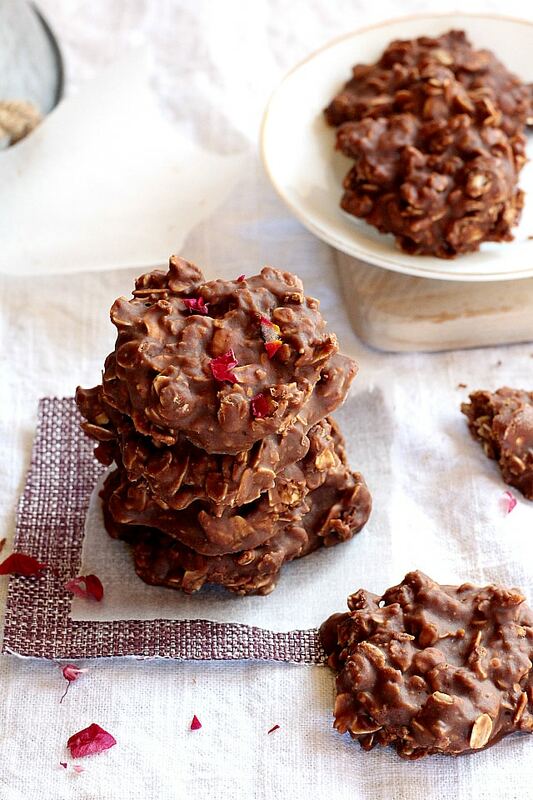 PIN THESE CHOCOLATE OATMEAL NO BAKE COOKIES! 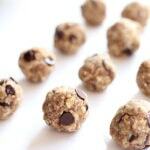 Healthy and fudgy chocolate oatmeal no-bake cookies prepared in as little as 5 minutes! 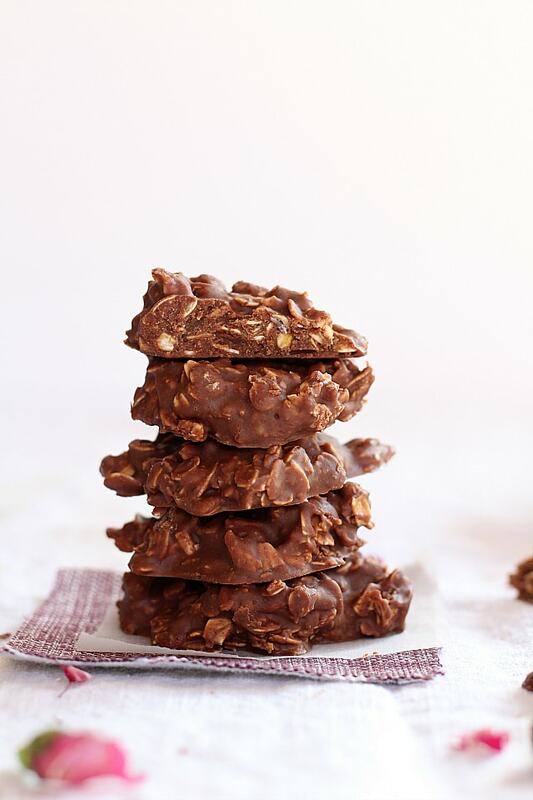 Peanut butter powder and chocolate make these delicious vegan fudgy and healthy no bake oatmeal cookies a for-sure crowd-pleaser! 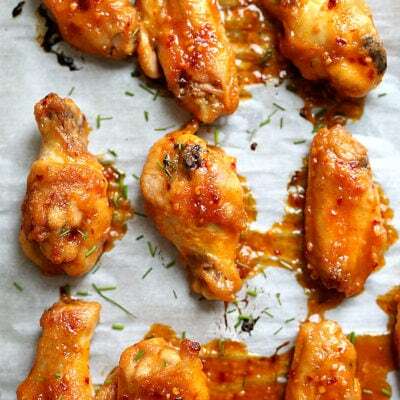 Prepare a baking sheet by lining with silicone baking mat, parchment or wax paper. Heat the coconut oil until melted in the microwave for about 20 seconds or on the stove-top. 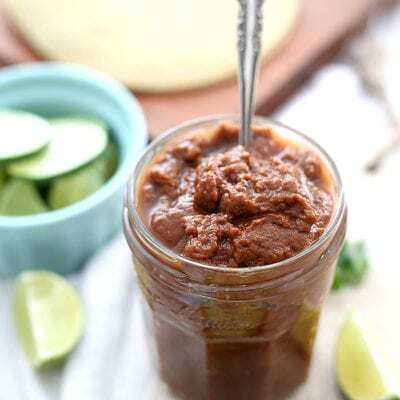 In a medium size bowl whisk together the melted coconut oil, peanut butter powder, cocoa powder and vanilla. Add the maple syrup and continue to whisk. Fold in the oats and salt until well coated. Scoop out about 1 tablespoon of the mixture onto the prepared baking sheet 1-inch apart from each other. Put the pan in the refrigerator for about 30 minutes or more until the cookies harden. Store in an airtight container in the refrigerator. Now these look dangerous. All the chocolate lovin’ and no oven.. I mean, what’s stopping me from whipping these up every day!? Can’t wait to try them out! Thank you Karly! I am so glad you like these. They are amazing with so much chocolate going on – we do whip them up every day!